<h2>Carlos Moedas: The EU will fund more social innovation because it’s the future of innovation</h2><br /><p>Carlos Moedas, the European Commissioner for Research, Science and Innovation was presented with <a href="https://media.nesta.org.uk/documents/Lisbon_Declaration_on_Social_Innovation.pdf" target="_blank" rel="noopener noreferrer">The Lisbon Declaration</a>, a set of 10 policy ideas for how the EU can promote social innovation, on 6 November at the Web Summit tech conference in Lisbon, Portugal.</p> <p>‘Innovation today is about purpose, about doing something that can fulfil you as a human being,’ said Commissioner Moedas. ‘In the European Union, we are going to put more money into social innovation, not because it’s trendy, but because we believe that the future of innovation is about social innovation.’</p> <p>According to practitioners, social innovation is about using innovation to tackle societal challenges such as climate change or migration, and – crucially – doing it in a way that actively involves the people who will be affected.</p> <p>The 10 ideas in the declaration, which authors say have been shaped by more than 350 people from 19 EU countries, include setting up fellowships to pay salaries to people working on community projects so that they don’t work for free, and working with social innovation start-ups and SMEs when it comes to public procurement.</p> <p>But speaking to Horizon on the sidelines of the summit, Armelle Ledan from the European Association for Information on Local Development, who presented the report to the Commissioner, said that it’s not just about funding.</p> <p>‘Resources, support, legitimacy and having policymakers giving support symbolically … is really important because it can prove that social good is at the heart of society.’</p> <p><strong>Hyperlocal</strong></p> <p>Ledan is leading a project called <a href="https://www.siceurope.eu" target="_blank" rel="noopener noreferrer">Social Innovation Community</a>, which has set up a series of networks to provide support to social innovation initiatives, which are often small and can otherwise work in isolation. One service they provide is setting up experiments to test new approaches to solve locally defined problems.</p> <p>She points to one experiment in Oslo, Norway, that connected refugees and asylum seekers with employers to help them find jobs. ‘There was a big experimentation to bring them together and design an app, new tools, to have celebration days where they could meet,’ she said. ‘(It emerged that) there were opportunities in Scandinavian countries to use (refugees) as language intermediaries in companies to expand the markets.’</p> <p><img class="@alignleft@" title="Grassroots Radio is an initiative to open up FM frequencies to communities to create hyperlocal radio stations. Image credit - Grassroots Radio" src="https://horizon-media.s3-eu-west-1.amazonaws.com/s3fs-public/IMCEUpload/Grassroots_radio.jpg" alt="Grassroots Radio is an initiative to open up FM frequencies to communities to create hyperlocal radio stations. 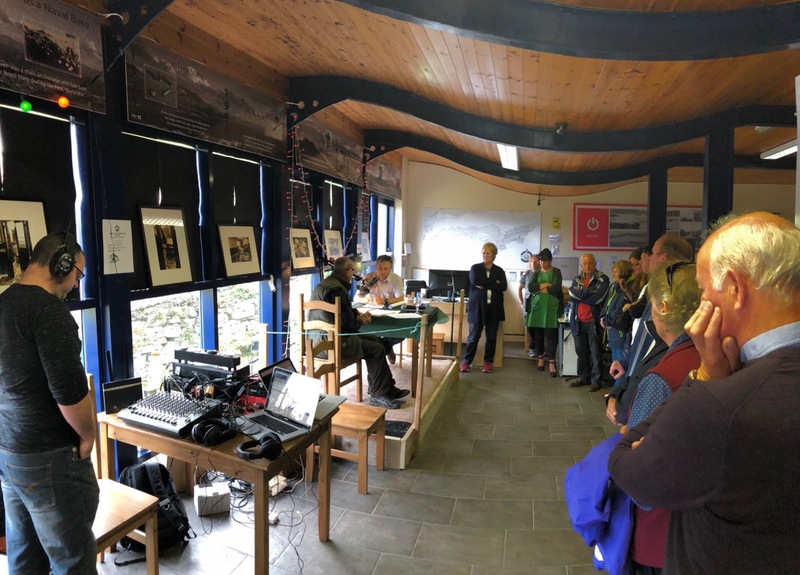 Image credit - Grassroots Radio " width="1280" height="920" /></p> <p>Social innovation projects showcasing their work at the web summit included <a href="https://grassrootsradio.eu" target="_blank" rel="noopener noreferrer">Grassroots Radio</a>, an initiative to open up FM frequencies for communities to create hyperlocal radio stations to share information, and <a href="http://www.c4rs.eu" target="_blank" rel="noopener noreferrer">CROWD4ROADS</a>, an app that tracks the physical movement of a mobile phone when someone is in a car to crowdsource information on the state of the roads and help local authorities prioritise repairs.</p> <p>Using technology as a tool for social good, and how to ensure ethical considerations are integrated into new technology, are hot topics at this year’s Web Summit, an annual event that brings together some of the world’s biggest tech companies, start-ups, politicians and policymakers.</p> <p>Madeleine Gabriel, from UK innovation organisation <a href="https://www.nesta.org.uk/" target="_blank" rel="noopener noreferrer">NESTA</a>, which was involved in drawing up the social innovation declaration, said that social good shouldn’t just be a nice-to-have aspect of innovation.</p> <p> <div class="quote-view quotesBlock quote_horizontal"> <div class="quotesTop"><img src="https://horizon-magazine.eu/sites/all/themes/horizon/images/quotes_top.png" alt="" title="" /></div> <p>'What if social good was the point of innovation? If we could harness (talent) for social good we could make an enormous difference. '</p> <blockquote><p>Madeleine Gabriel, NESTA</p></blockquote> <div class="quotesBottom"><img src="https://horizon-magazine.eu/sites/all/themes/horizon/images/quotes_bottom.png" alt="" title="" /></div> </div> </p> <p>‘It’s really easy to think of this stuff as nice, heart-warming activities that we can all feel good about while the real business of innovation goes on elsewhere,’ she said. ‘What if we turned that around? What if social good was the point of innovation? If we could harness (talent) for social good we could make an enormous difference.’</p> <p><em>The research in this article received funding from the EU. If you liked this article, please consider sharing it on social media.</em></p> <br /> <img src=”http://www.google-analytics.com/collect?v=1&tid=UA-40077089-1&cid=carlos-moedas-the-eu-will-fund-more-social-innovation-because-it’s-the-future-of-innovation&t=event&ec=republish&ea=read&el=carlos-moedas-the-eu-will-fund-more-social-innovation-because-it’s-the-future-of-innovation&cs=republish&cm=republish&cn=republish&cm1=1" /> This post <a href="https://horizon-magazine.eu/article/carlos-moedas-eu-will-fund-more-social-innovation-because-it-s-future-innovation.html">Carlos Moedas: The EU will fund more social innovation because it’s the future of innovation</a> was originally published on <a href="https://horizon-magazine.eu/">Horizon: the EU Research &amp; Innovation magazine | European Commission</a>. 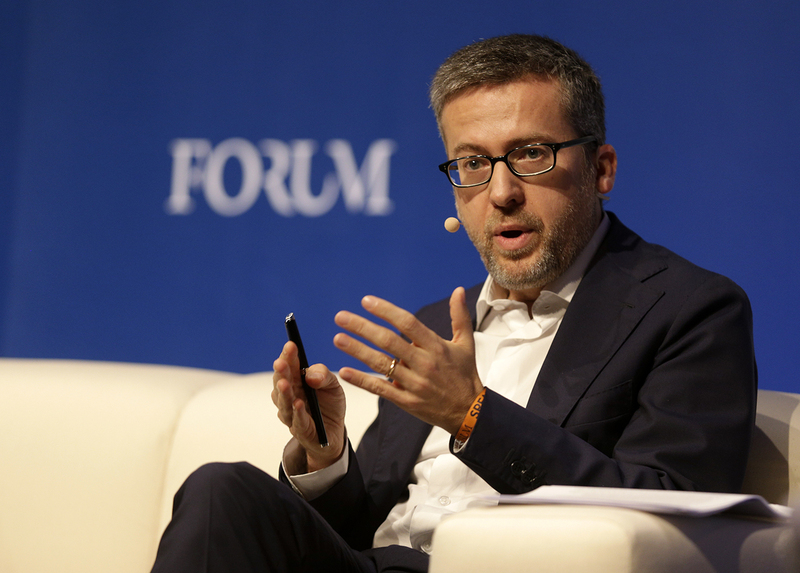 Carlos Moedas, the European Commissioner for Research, Science and Innovation was presented with The Lisbon Declaration, a set of 10 policy ideas for how the EU can promote social innovation, on 6 November at the Web Summit tech conference in Lisbon, Portugal. According to practitioners, social innovation is about using innovation to tackle societal challenges such as climate change or migration, and – crucially – doing it in a way that actively involves the people who will be affected. The 10 ideas in the declaration, which authors say have been shaped by more than 350 people from 19 EU countries, include setting up fellowships to pay salaries to people working on community projects so that they don’t work for free, and working with social innovation start-ups and SMEs when it comes to public procurement. But speaking to Horizon on the sidelines of the summit, Armelle Ledan from the European Association for Information on Local Development, who presented the report to the Commissioner, said that it’s not just about funding. Ledan is leading a project called Social Innovation Community, which has set up a series of networks to provide support to social innovation initiatives, which are often small and can otherwise work in isolation. One service they provide is setting up experiments to test new approaches to solve locally defined problems. Social innovation projects showcasing their work at the web summit included Grassroots Radio, an initiative to open up FM frequencies for communities to create hyperlocal radio stations to share information, and CROWD4ROADS, an app that tracks the physical movement of a mobile phone when someone is in a car to crowdsource information on the state of the roads and help local authorities prioritise repairs. Using technology as a tool for social good, and how to ensure ethical considerations are integrated into new technology, are hot topics at this year’s Web Summit, an annual event that brings together some of the world’s biggest tech companies, start-ups, politicians and policymakers. Madeleine Gabriel, from UK innovation organisation NESTA, which was involved in drawing up the social innovation declaration, said that social good shouldn’t just be a nice-to-have aspect of innovation. The research in this article received funding from the EU. If you liked this article, please consider sharing it on social media.